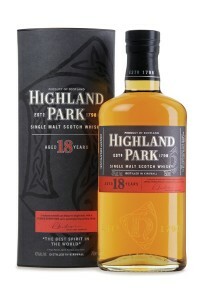 Founded on the remote Orkney Islands in 1798, the Highland Park distillery has for two centuries produced a full-flavoured single malt Scotch Whisky. Made from the best barley malted over burning peat from the distillery-owned Hobbister Moor married with waters from an exclusive source, the Cattie Maggie spring, then aged in casks for a minimum of twelve years that shape its rare and very distinctive character. Great tasting and with an extensive range, Highland Park Single Malt Scotch Whisky offers some of the best value available to buy today.